Southern Wales is once again to be the destination of choice for the UK travel trade in 2017. For the third year running Southern Wales Tourism, working with travel specialists Steve Reed Tourism Ltd, is arranging a high quality and business-generating showcase of South Wales. It takes place on Monday 30 January at the Wales National Velodrome in Newport from 10.00 am. And it’s all about attracting the spending power of coach parties and groups of visitors. The event is aimed at encouraging coach and tour operators and group travel organisers to choose South Wales for their tours, holidays, breaks and excursions. Also featuring familiarisation tours of top attractions including the Royal Mint Visitor Experience, the event will see a number of top coach and tour operators from around Great Britain hosted at the Coldra Court Hotel by Celtic Manor. That element takes place 29-31 January. 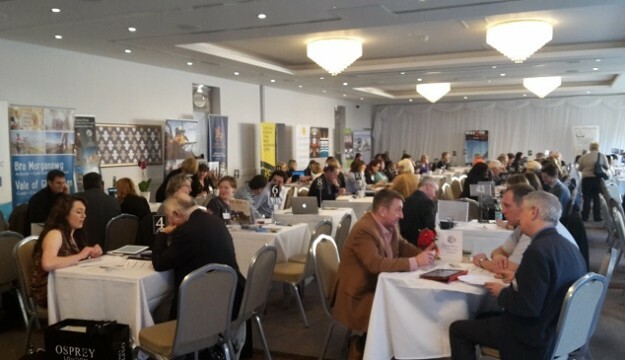 Of national significance, the event is geared towards creating new group bookings for the partners of Southern Wales Tourism – and the showcase gives the businesses a chance to meet the buyers face to face. Previous events have taken place at Caerphilly Castle and Hensol Castle. Commencing on Sunday 29 January with familiarisation visits and a ‘Welcome to South Wales’ dinner, the business to business workshop takes place on the Monday 30 January at the Wales National Velodrome. ‘There is no better way to create new group travel business than inviting top tour operators from all over the UK. Group travel bookings help to protect and indeed create jobs right across the South Wales tourism industry in hotels, attractions, destinations, retail and heritage sites,’ explains Vicky. Any tour planner wishing to attend the workshop at the Velodrome on Monday 30 January should contact steve@stevereedtourism.co.uk Places are limited and subject to availability.